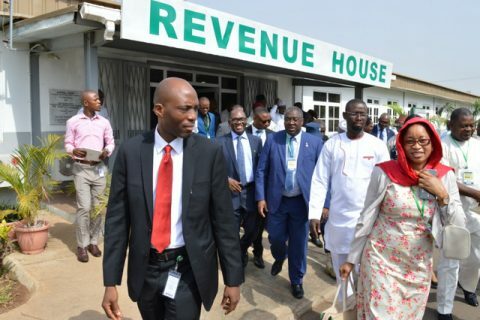 What can be more superlative, incredible and prestigious for the Kwara State Internal Revenue Service (KW-IRS) than to host revenue executives in Nigeria headed by the revenue mogul and Chairman of the Joint Tax Board (JTB), Mr Babatunde Fowler to the 137th JTB Meeting in Kwara State? 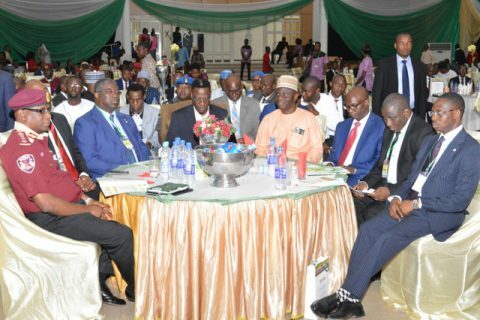 The crucial event was the first of its kind in the State as none of the prior 136 meetings which had gone to various states, some even more than once, had been held in Kwara State. It not only brought pride to the State but also an unquantifiable achievement to the State’s Internal Revenue Service in terms of pedigree and integrity. The antecedence of the KW-IRS was too motivating to be ignored as a revenue generating entity as well as an institution that has established itself to join the train of economic development in the State and country at large. A magnanimous event such as the Joint Tax Board reflected that light on the Kwara State Revenue House. 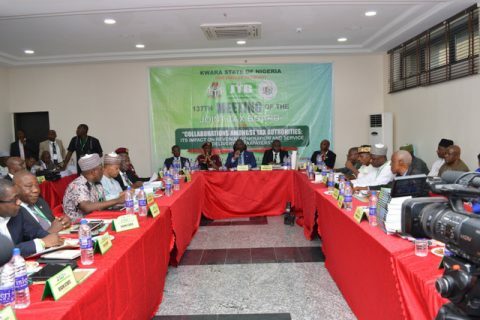 The event received the Chairman and Secretary of the JTB; members including Executive Chairmen of Internal Revenue Services of states in the Country; Corp Marshall, Federal Road Safety Corps; President, Chartered Institute of Taxation of Nigeria; Nigeria Custom Service; Nigeria Immigration Service; and other attendees such as the JTB Secretariat Staff, FIRS Directors and other concerned representatives. In line with the template of the grandeur JTB event, the arrival night, Sunday 12th March was full of fun as the guests were treated to a special welcome dinner hosted by KW-IRS. The night witnessed performances from the famous comedian, Seyi Law, who was the anchor, and featured the musical band of Wale Zion. The continental themed night was not over until the attendees showed off their dance moves. Monday 13th March started with a tour to the Revenue House, the Head Office as well as the Phase II which is currently under construction. 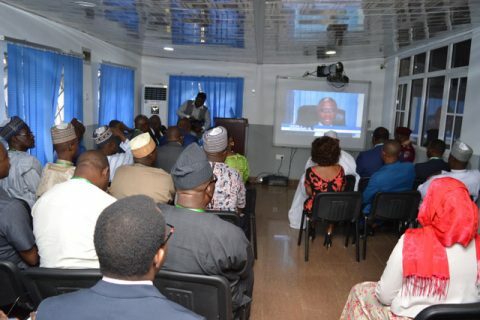 At the Revenue House, the JTB members watched a documentary of the KW-IRS 2016 Story which apprised them about the People, Process, technology (PPT) Model which inspired the JTB Chairman, Babatunde Fowler’s declaration later that day that the PPT model was ideal and should therefore be adopted by other state tax authorities. 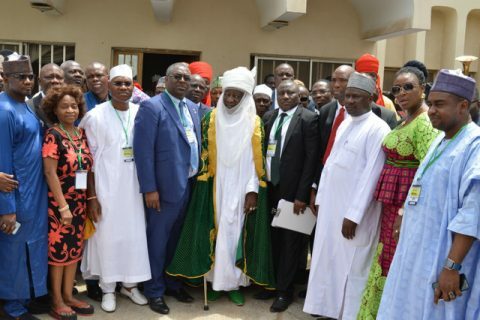 Typically for the event, the members then paid a courtesy visit to the palace of the Emir of Ilorin, Alhaji Ibrahim Zulu Gambari where they were received by all the first class traditional rulers (Obas) in Kwara and also to the Executive Governor of Kwara State, Dr Abdulfatah Ahmed at the Government House. 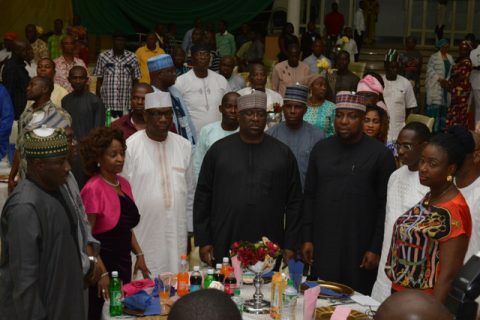 The day continued with the Opening Ceremony to which the Executive Governor graced with his presence at the Banquet Hall, Ilorin. Papers were presented by Prof. Abiola Sanni on the “Revised National Tax Policy as a Catalyst for Diversifying Sources of Revenue” and the representative of the Canadian Software Development Company (CSDC). 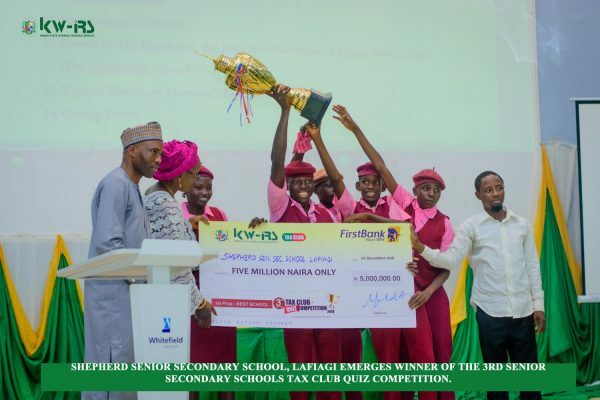 The final stage of the first University Tax Club Debate Competition also took place where University of Ilorin was 2nd Runner-Up, University of Lagos was 1st Runner-Up, and the University of Ife came out winner. Various prizes were given to the schools as well as the presenters who represented each school. 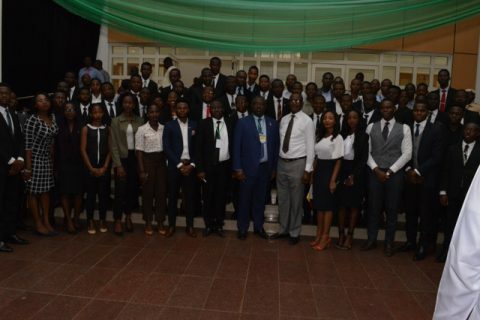 The programme also was the inauguration of Tax Clubs in all tertiary institutions in Kwara State, with each institution represented by two (2) students and the coordinating lecturers. 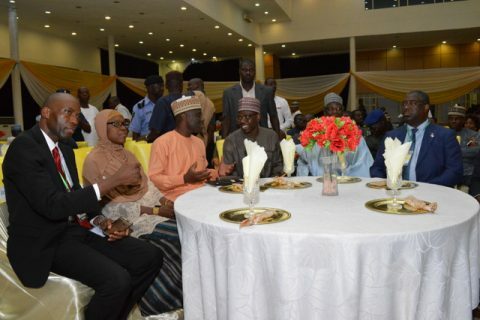 The JTB members then went for their closed door meeting and returned for another special dinner hosted by the Executive Governor of Kwara State who was ably represented by the Deputy Governor, Elder Peter Kisira in the company of the Secretary to the State Government, Alhaji Sola Isiaka Gold. The traditional themed night was another great time for all. 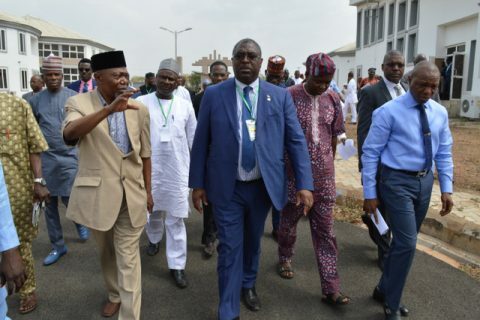 The JTB members on Day 2, Tuesday 14th March after they had concluded their early closed door meeting made courtesy visits to facilities which bear witness to tax payers’ money at work such as the International Aviation College, Ilorin and the International Vocational, Technical and Entrepreneurship Centre (IVTEC), Ajase Ipo. The IVTEC was an initiative and the ideology of the Executive Governor of Kwara State, Dr Abdulfatah Ahmed which is aimed at alleviating the rate of unemployment in the State as well as creating a life time opportunity for youths in the future. 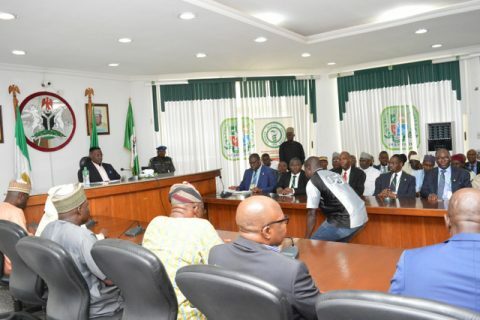 The one in a million initiative of the Executive Governor was lauded by the JTB Chairman and FIRS Boss, Babtunde Fowler who commended the efforts put in place by the Governor to make sure that such an enormous dream come to reality and also pledged support to exceptional projects like the vocational centre. Appreciating the gesture of the FIRS boss was the Executive Chairman, KWIRS, Dr Muritala Awodun who saluted the JTB Chairman’s immense support and promised even more remarkable achievements. 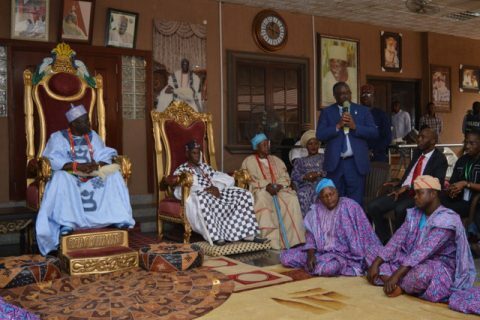 Another courtesy visit was paid to the palace of the Olofa of Offa, Oba Muftau Gbadamosi Esuwoye II who in the company of all the First Class Obas in Kwara South hosted the JTB members to lunch. Thanking the Oba for being a warm host, Dr Awodun expressed satisfaction from the efforts of the traditional rulers in the State in making the Tax policy initiated realisable. That support he said contributed to positively turning the fortune of the State revenue base into a notable figure. The lunch was also entertaining with performance from the Kwara State Council of Arts & Culture. • The Joint Tax Board will continue to exhibit professionalism and efficiency in tax administration towards all taxpayers. • The Joint Tax Board will continue to vigorously pursue effective collaboration and synergy amongst stakeholders as a means of providing better services for taxpayers and increased Internally Generated Revenue (IGR). • State Government to grant administrative and financial autonomy to all tax authorities to enable them perform optimally. • States to always remit taxes due to the federal government as at when due. 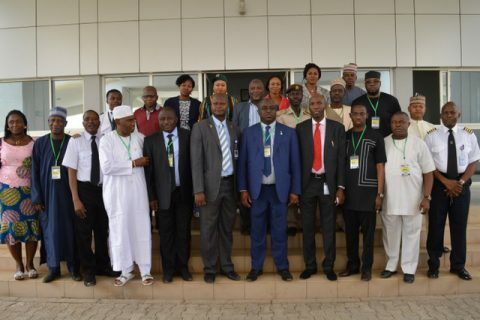 • Nigeria Governors’ Forum (NGF) requested to partner with JTB for more effective tax administration and revenue generation, and was consequently accepted and accorded observer status of the Joint Tax Board. • Traditional institutions and all stakeholders at the State and Local Government levels to increase support to tax administrators by way of advocacy and advancing taxation as a civic responsibility. • The Joint Tax Board agreed to integrate various taxpayer databases existing at the Federal and State tax authorities into one platform to enable accessibility amongst the members for more efficient service delivery to taxpayers.